A rental home is an easy and trouble-free way of living. You simply pay a monthly rent, and we will take care of everything related to ownership, maintenance and repairs. Should you wish to move to a larger or smaller home or to another city or town, it is easy to give up the old rental apartment and make the switch to a new one. We have a large selection of rental homes, from small studio apartments to spacious family homes. 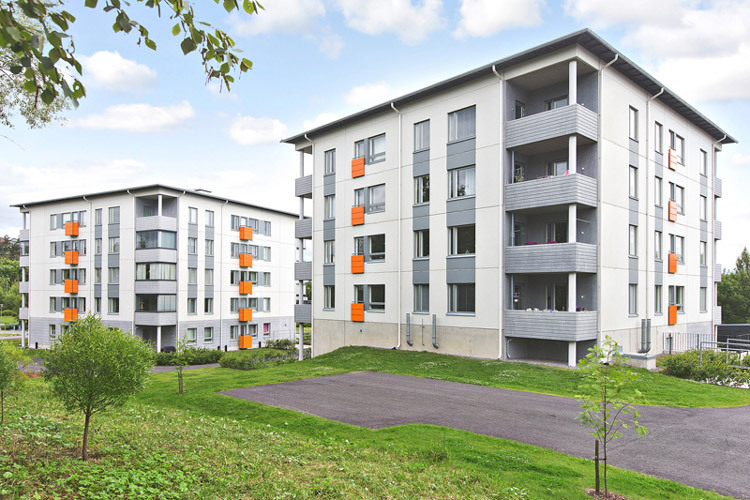 Our homes are available throughout Finland and range from row houses to duplexes and apartments. Our rental homes are a safe choice in every situation and phase of life. 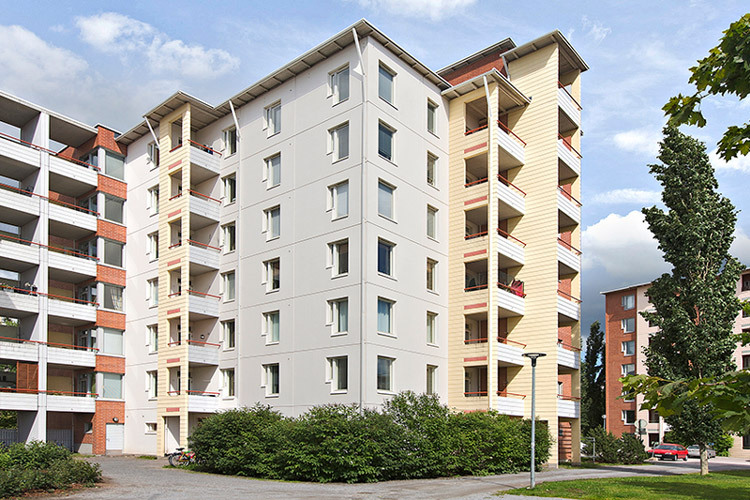 Some of our rental homes are state-subsidized (Arava) and interest-subsidized apartments; in allocating residents for these homes, we follow the resident allocation criteria set by the Finnish government. 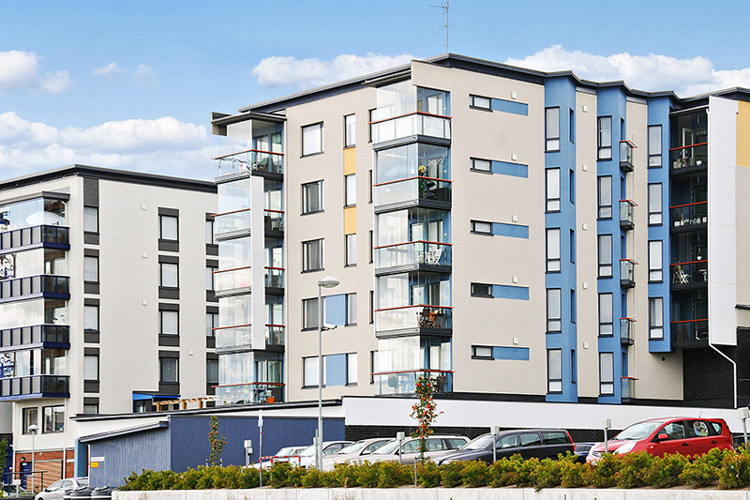 These apartments are subject to allocation criteria such as the housing needs, wealth and income of the household applying for residence. 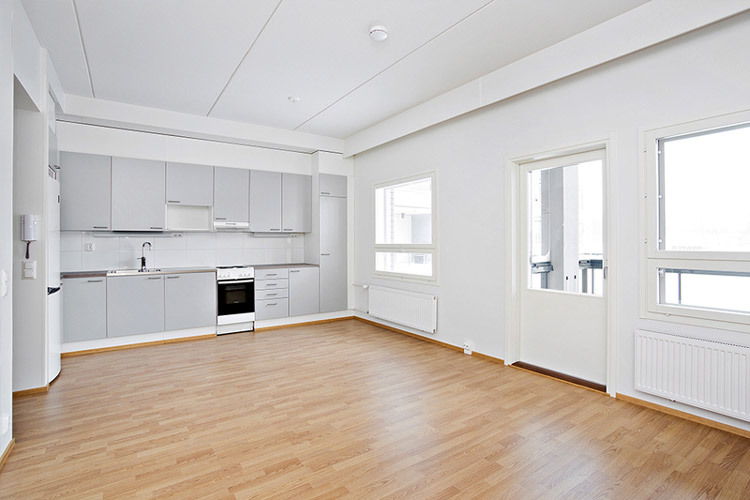 The rental listings of these homes include the notice “varallisuusrajat” (“wealth limits”) or “V”. We also have plenty of homes with no set limits for applicants. If the rental home listing has no notice of wealth limits, the above criteria are not applied in its rental. We also provide housing services for companies. All of our rental homes with no set wealth limits can be rented out as company apartments. Some of our rental homes are also available complete with furniture. Use the housing search tool to discover homes that are available or are soon to be available. By specifying your desired features in the search bar, you will be able to view rental home listings that match your criteria. The listings provide more details on the homes, and you may also message our sales representative by using the contact form found on the page. If there are no available or soon-to-be-available homes that match your needs, you can explore all our rental homes from the location list. You can sign up to the queue for any of the locations, even if there are currently no homes available or soon to be available. Provide your information on our electronic rental application. Be sure to fill out the application carefully, as we allocate homes to residents based on the information given on the application. Please note that we will check your credit rating when reviewing the application and will therefore need your personal identity number. The information you provide on the application is handled confidentially. A new application replaces any previous application you may have submitted and is valid for 3 months. We will contact you once a home that matches your wishes is available and can be offered to you. Some of our rental homes are state-subsidized and interest-subsidized. 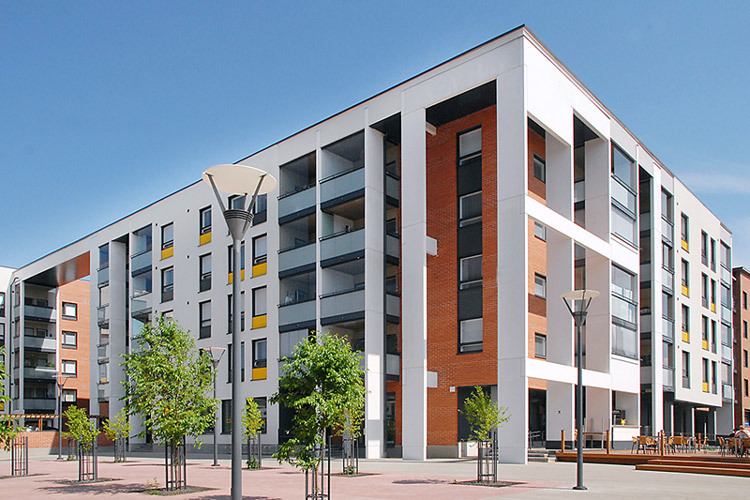 For these homes, our resident allocation follows the criteria set by the Finnish government on the housing needs, wealth and income of the household applying for the home. We will check these when you apply for the home. The homes have wealth limits that applicants may not exceed. You can see the wealth limits here (the page is in Finnish only). If you have applied for a home with wealth limits, we will request the needed attachments to the rental application when sending you the rental offer. As attachments to your application, we require up-to-date accounts of your income, wealth and housing needs. The order of priority between all applicants is evaluated as a whole. The attachments should be delivered in the first place to the sales representative for the location as an email attachment. If you cannot deliver the attachments by email, you may also bring them or mail them to our office. If the rental home has no wealth limits for applicants, the attachments are not needed. Before signing the rental agreement, applicants usually have the opportunity to visit and preview the home. The visit is always agreed upon in advance. We also organize open-house tours for vacant homes that can be attended without advance notice. Unfortunately, we usually cannot arrange open-house tours for homes that are still under construction.